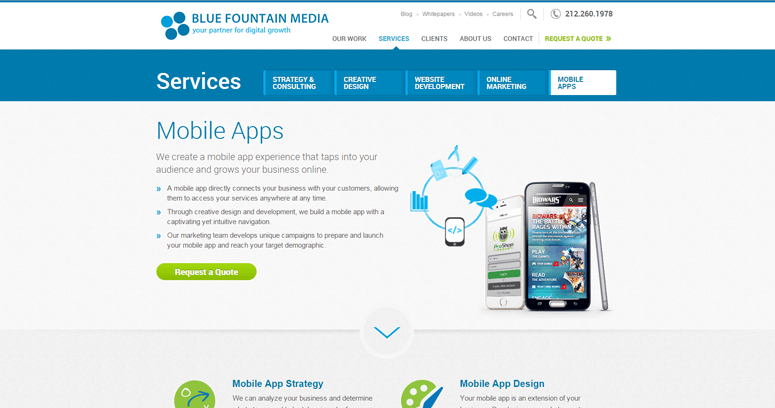 Web development by Blue Fountain Media is strongly based on content management systems that are relatively inexpensive and very versatile. The flexibility of CMS appeals mostly to novice webmasters who want to operate professional websites without the need to hire part-time of full-time IT support. Open source technology such as WordPress helps such webmasters stay in business without spending a fortune. 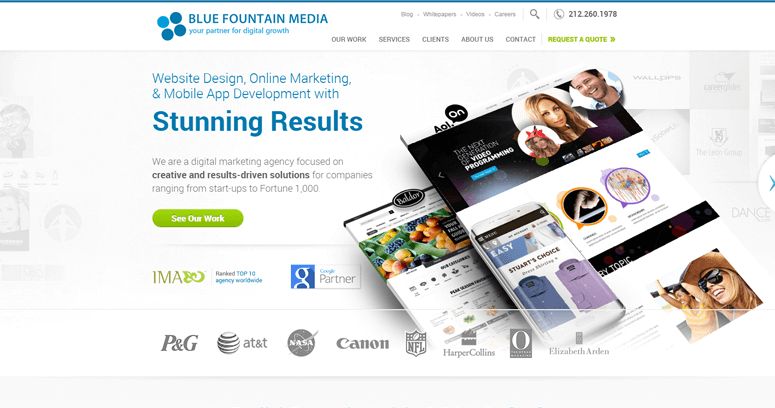 Blue Fountain Media believes that CMS is also appropriate for e-commerce development at affordable rates. For example, this NY-based firm builds online stores with features such as third-party shopping carts. Payment processing systems on online shops also include compatibility with Paypal, Google Checkout and other standard credit card submissions. 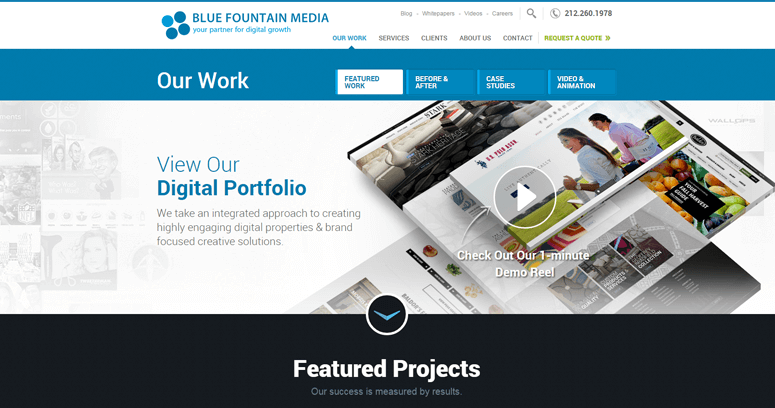 Besides handling e-commerce for merchants, Blue Fountain Media also works with cultural institutions and other organizations that seek to inform visitors rather than just sell items or services. Therefore, WordPress is a great platform for managing blogs and informational portals.